1.First, you must go to Web Clap Plus site. Next, you must click the Green 'Sign Up' button. 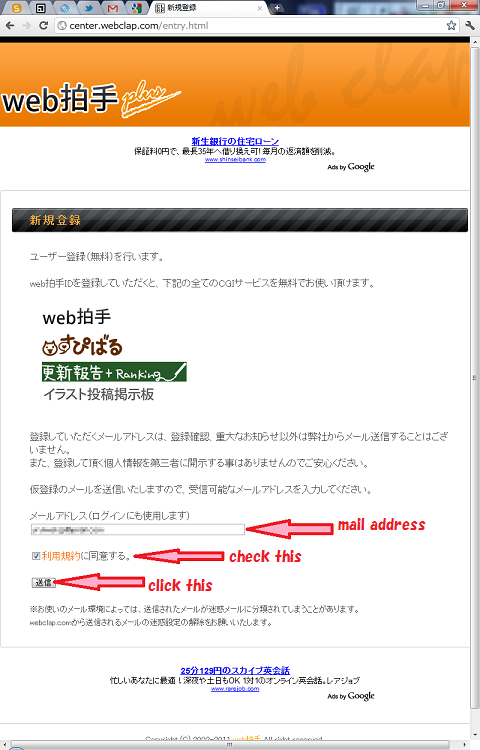 2.Input your mail address, check out the agreement check box, and submit 'send' button. 3.Email had sent. Then, you will soon get a email from system@webclap.com, and you can click sign up url(only for you) written in it. 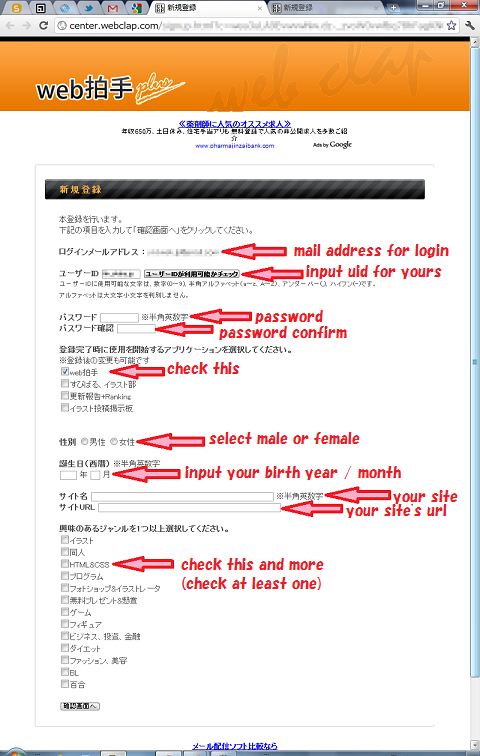 4.Then, input your mail address, webclap user id(only for you, don't forget), login password, login password confirm. Check out 'Web Clap' check box, select male or female, input your birth year and month, name of your site, site url. Last, check out one of the genres in which you are interested. 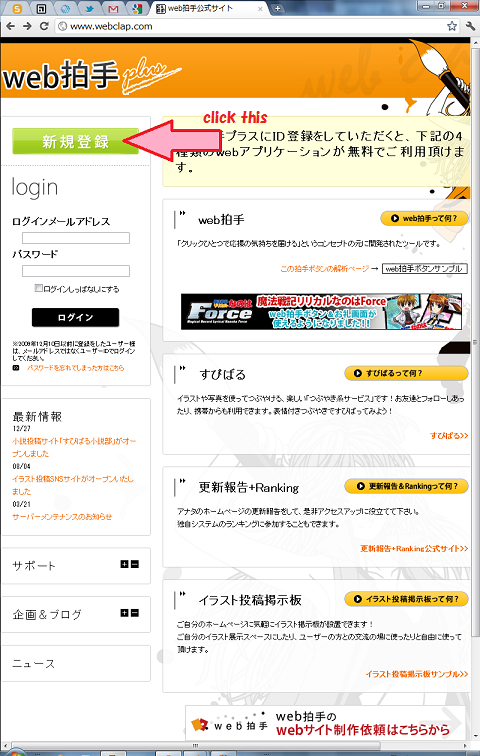 5.Finish, click the 'Apply' button (left button).